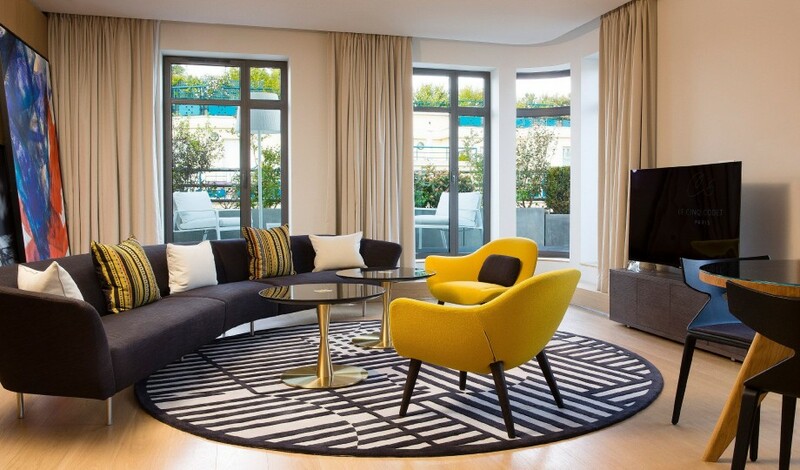 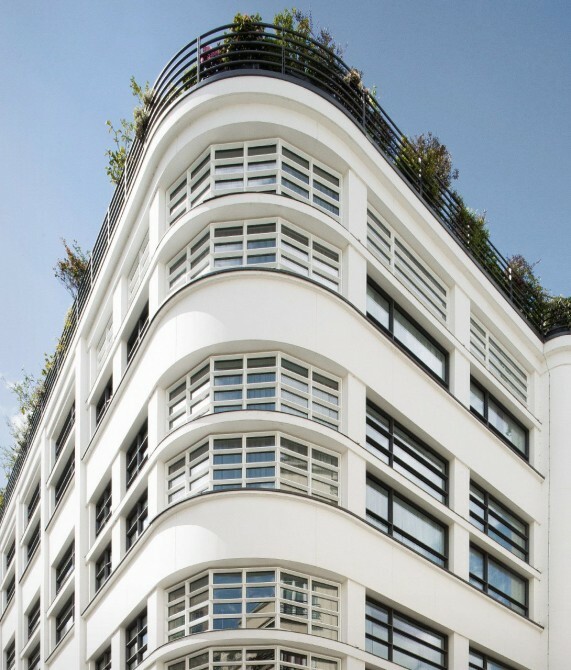 —Experience a stunning example of 1930s modernism, reworked by a master and filled with museum-worthy art and design, all in the sophisticated 7th arrondissement. Housed within the former France Telecom building from the 1930s and masterfully restored by acclaimed designer Jean-Philippe Nuel, Le Cinq Codet lets one experience a Paris the world knows and one it doesn’t. 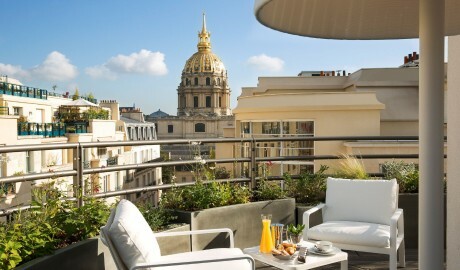 Set in the city’s most sophisticated neighborhood, in the heart of the prestigious 7th arrondissement, the hotel is an entrée into a quiet world of erudition and beauty, yet is just steps away from top city attractions and renowned landmarks, which include Les Invalides, the Rodin Museum, and the Eiffel Tower. 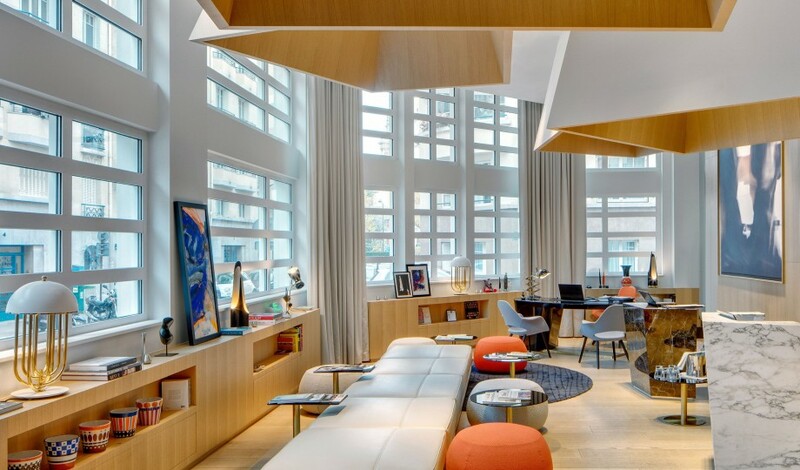 Showcasing unique, graphic architecture—envision the prow of an ocean liner rising above traditional Haussmann buildings—Le Cinq Codet presents 67 rooms that each evoke an artistic loft experience. 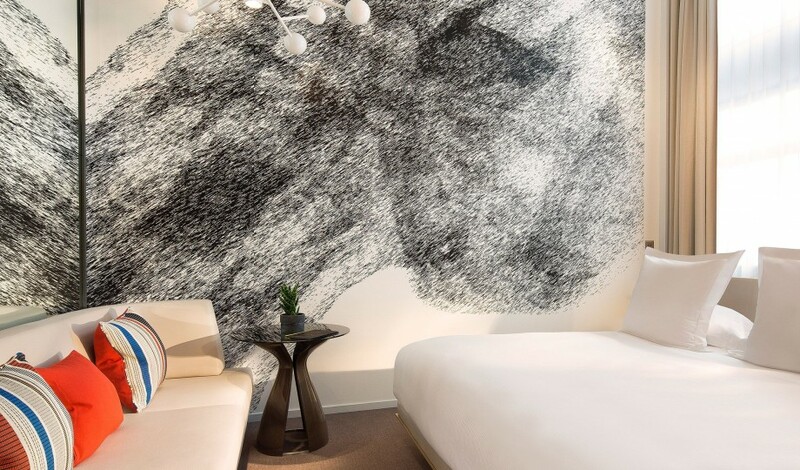 Indeed, art is a stunning central component here, with an outstanding collection of museum-quality works throughout the hotel, including monumental photographs by Jean-Pierre Porcher in the lobby, as well as bespoke furniture by the likes of Elizabeth Garouste, Tom Dixon, and Patricia Urquiola. 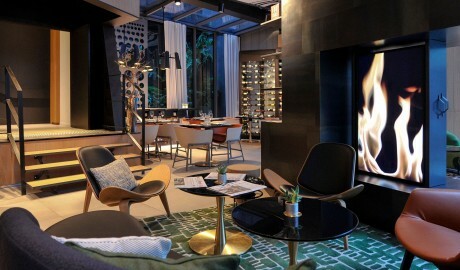 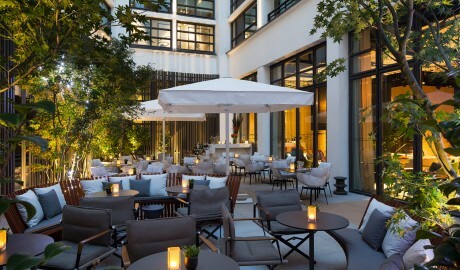 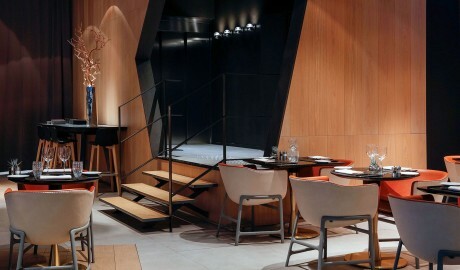 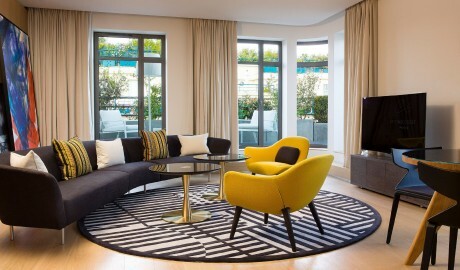 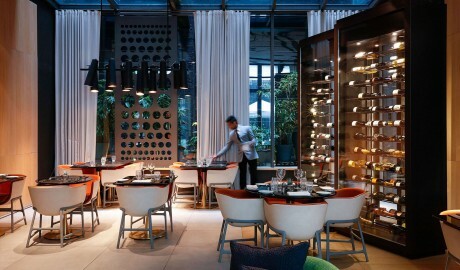 The sense guests have of an escape from the world and a full immersion into an aesthetic retreat extends to the hotel’s restaurant, bar, patio, and spa—each an exquisite example of a sophisticated, private Paris in the heart of the city but far from the crowd. 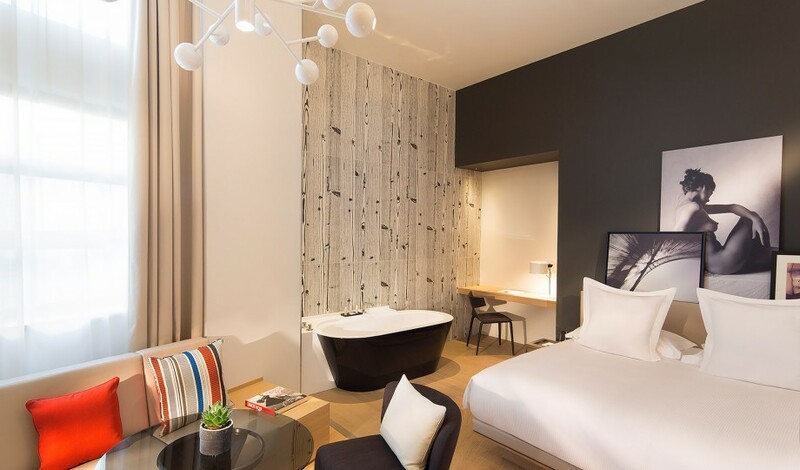 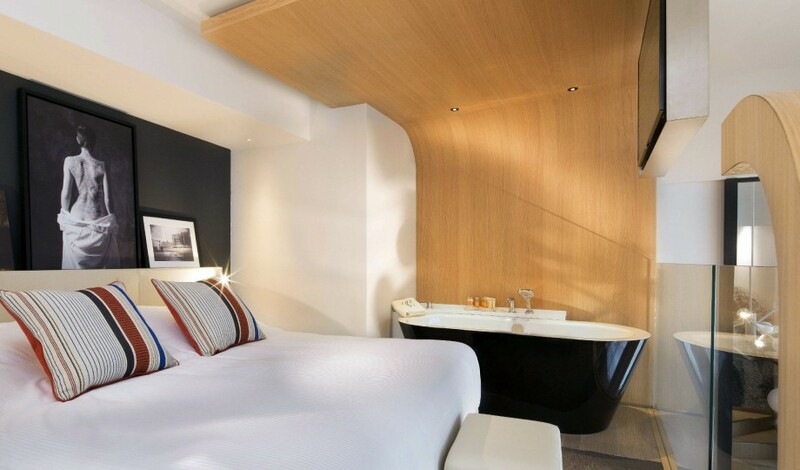 The 67 rooms and suites range from the 18-square-meter Classic Room to the 83-square-meter Prestige Suite, and all feature a lounge area, a walk-in shower, and a Mac Mini audio system. 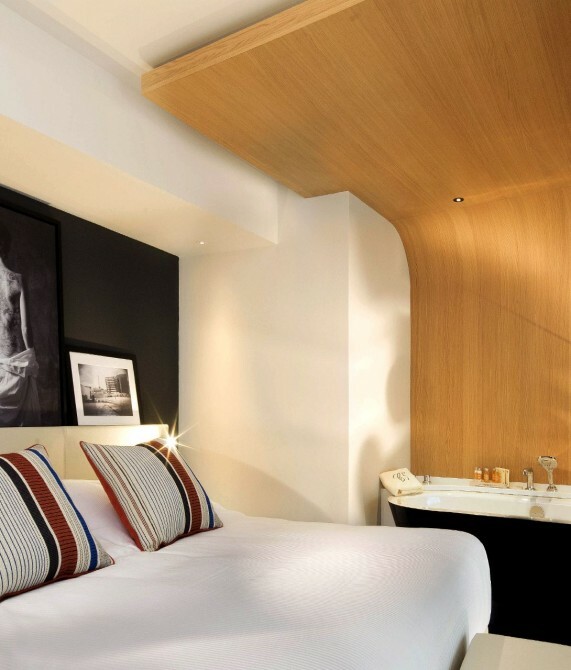 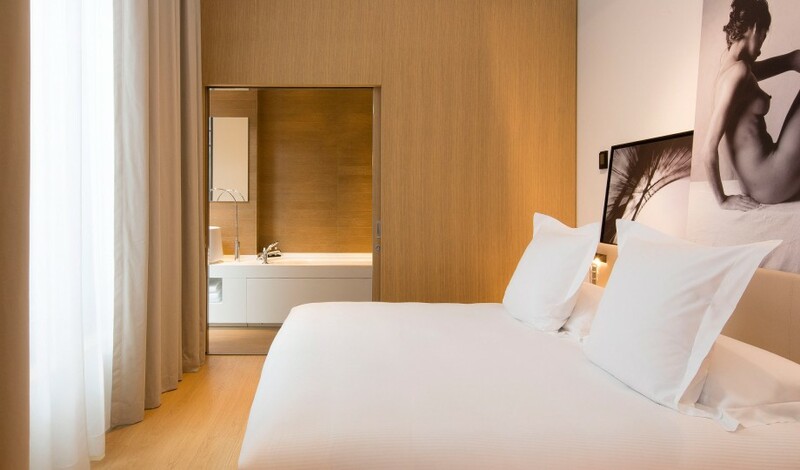 The Classic Room offers a queen-size bed or twin beds, while the 30-square-meter Duplex Room has a queen-size bed, and the Superior Room, the Deluxe Room, and the Junior Suite—at 23, 29, and 38 square meters, respectively—all have either a king-size bed or twin beds. 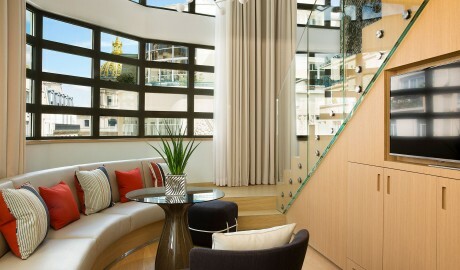 The latter two also offer a bathtub on availability, and the many of the Junior Suites boast a balcony. 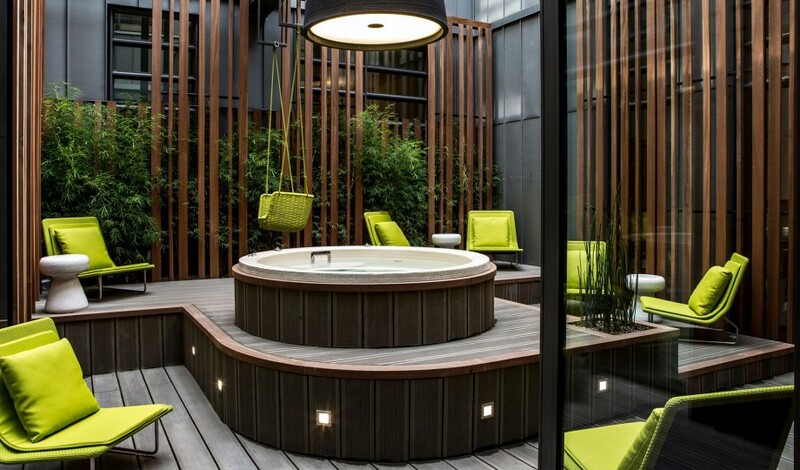 The 51-square-meter Duplex Suite, the 45-square-meter Superior Suite, and the 83-square-meter Prestige Suite all feature a king-size bed and a bathtub, while the Prestige Suite plays host to a dressing room, a private garden, and a terrace with a Jacuzzi. 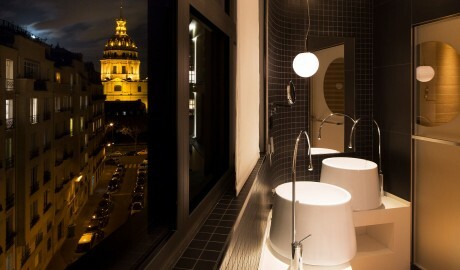 The Duplex Suite overlooks Les Invalides and the Superior and Prestige Suites boast views of Les Invalides and the Eiffel Tower. Going against the grain when it comes to the notion of luxury, Jean-Philippe Nuel created airy loft-style interior spaces, including duplex suites, some with unrivaled views over Paris. 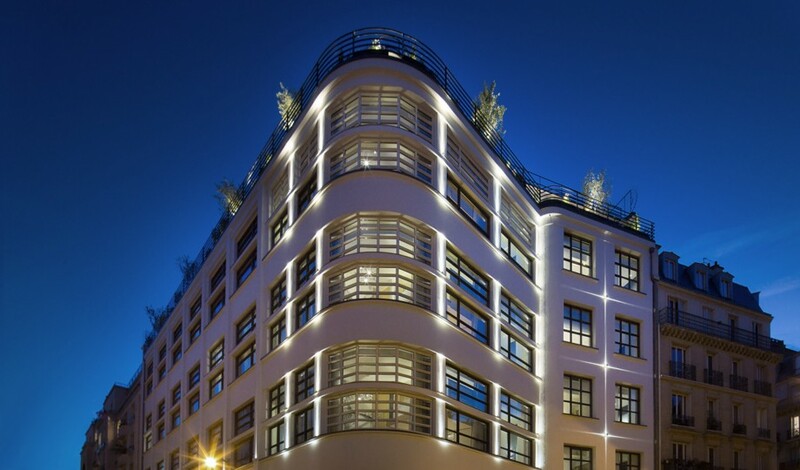 Built in the 1930s era of sleek, pared-down styling, Le Cinq Codet stands tall as a tribute to virtuoso rationalism, its distinctive architectural signature showcasing the building’s original honed contouring, clean lines, and transparency. Set on the Left Bank, the 7th arrondissement lies in the heart of Paris, offering a mix of the city’s grandest sites and a quintessential village-like Parisian neighborhood.